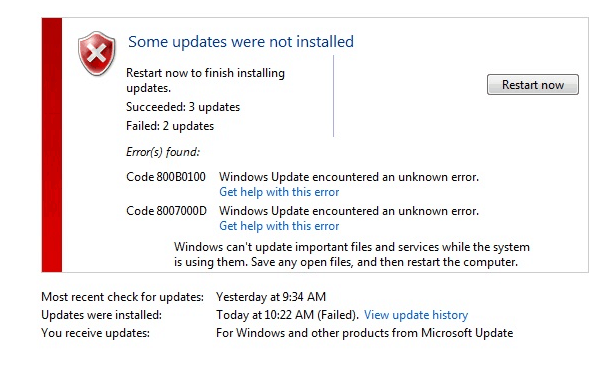 How to fix windows update error 80070490? Many times when you use the Windows Update service to find, download and install the latest updates for your Windows PC, you may come across a lot of errors which is quite natural. 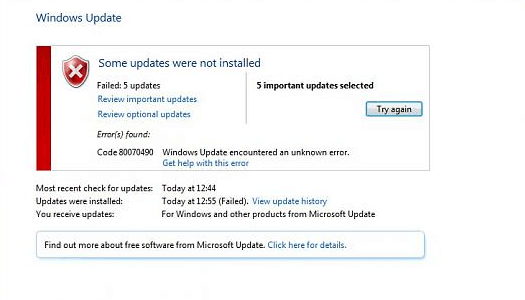 And one of the most commonly encountered error while using the Windows Update service is the “80070005” error. Basically, you get the “80070005” error when you are trying to install new updates to your Windows PC without being logged in to the administrator account or at times may be because of some malicious software that may have infected your PC. Log in as an Administrator: As mentioned above, the most common reason for receiving the “80070005” error on your PC while trying to install an update is because of not logging in to your PC as an administrator. If you have multiple user accounts in your PC, then before installing a Windows update make sure that you log out of your user account and then log in as an administrator in order to install the Windows update successfully. Scan your PC for any kind of Malicious infection: The second most common reason for the “80070005” in a Windows PC is because of some kind of malicious installation on your PC that may have unknowingly happened. In case you do not have an antivirus software installed on your PC, then the best way to be sure that there are no sorts of malicious installations on your PC is by downloading and running the Microsoft Safety Scanner tool. Please do make sure that you download the Microsoft Safety Scanner from the official Microsoft website, and that too a version that supports your Windows version. To scan your PC for malicious installations using the Microsoft Safety Scanner tool, download, install run the application. From the main menu of the scanner, click on “Scan Type” and then choose “Full Scan” and click on “Next” to begin the scan. Wait for the scanning to complete successfully as it may take a while. 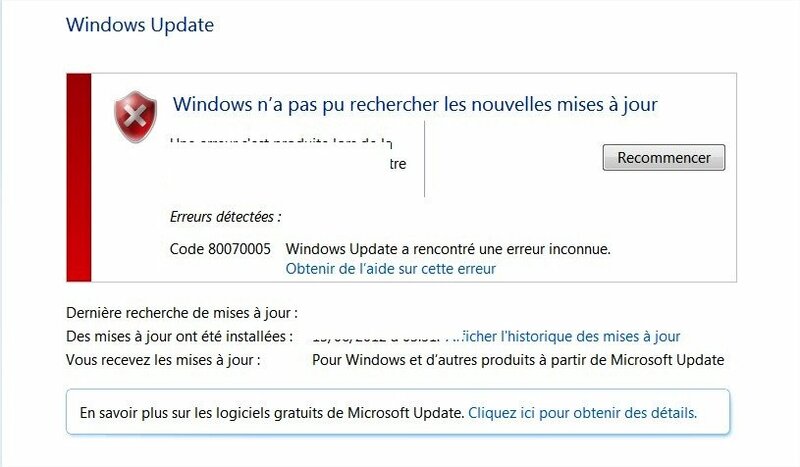 Once the scan is completed, in case any malicious files are found, immediately remove them, restart your PC and try installing the Windows update again. Finally, I hope that this simple guide helped you in removing the Windows “80070005” error from your PC. In case of any doubts or queries, please leave them as comments below.